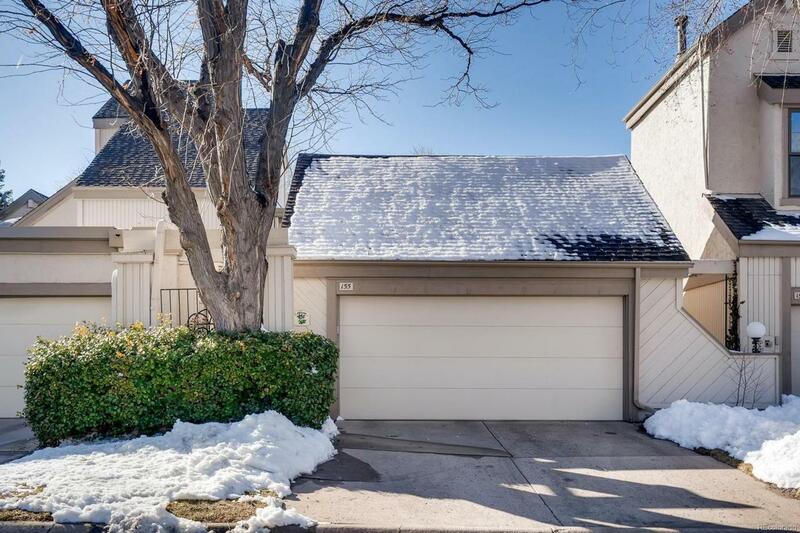 Beautiful and well-cared for 3 br/2.75ba home with courtyard and covered patio minutes to Hentzell Park and Denver golf courses. 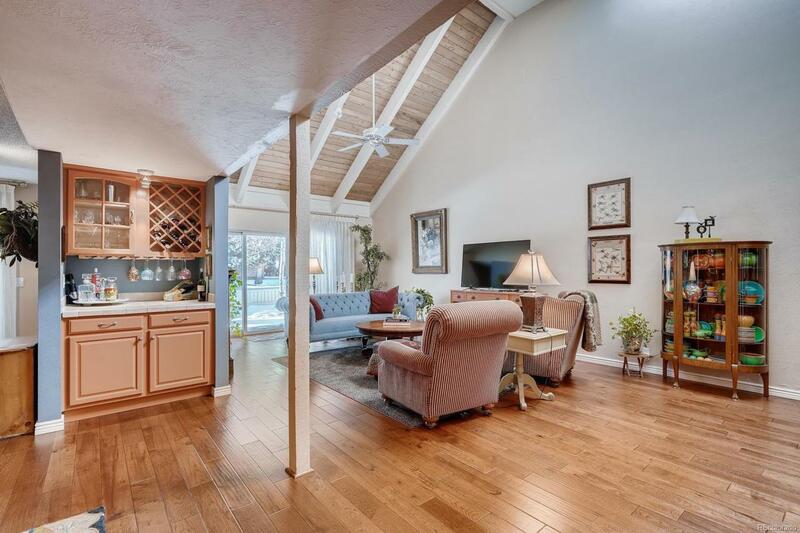 Hardwood flooring, soaring ceilings and open living areas lives large. Main floor has dining/living/sitting areas, bar and double-sided fireplace. The kitchen with under cabinet lighting, tile backsplash, great storage, black appliances and eating area overlooks the charming front courtyard. A main floor bedroom and bath offers office or easy guest space. Upstairs, a large master suite with attached bathroom awaits. 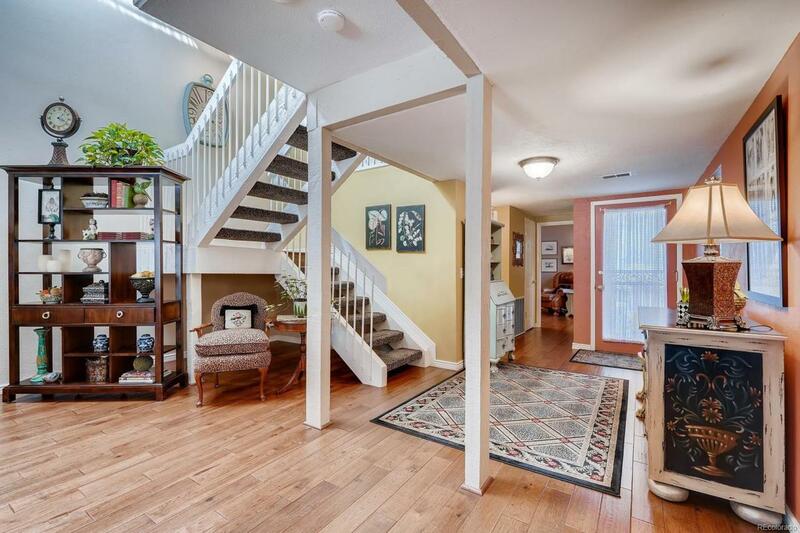 A loft, upper laundry, additional bedroom, and full bath complete upper level. The enclosed front courtyard with slab stone walkway, gorgeous perineal garden and luscious green canopy from the majestic tree at front of property is a delight. The sunny back patio is partially covered and private. A 2-car garage and extra guest parking steps from unit is convenient and great for entertaining. Wonderful home near amenities, trails and parks. 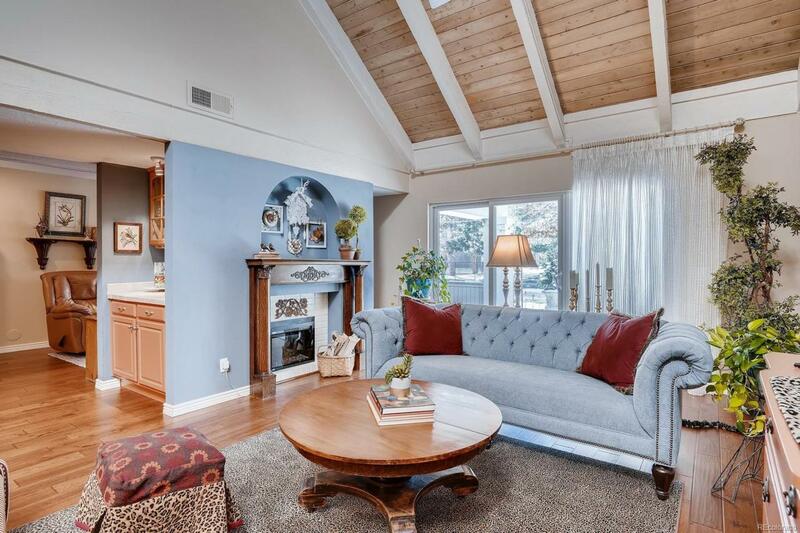 Offered by Corken + Company Real Estate Group.